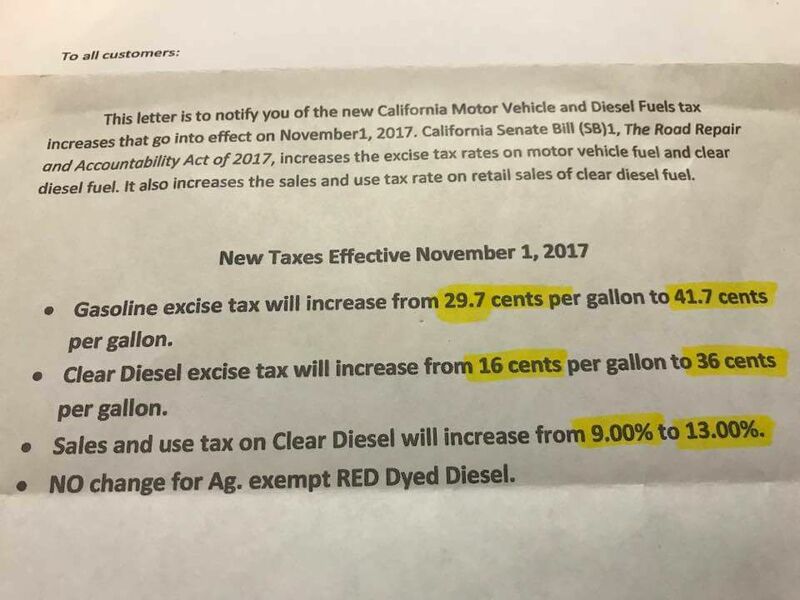 Here’s a photo of part of the letter being sent to locals about the new California Motor Vehicle and Diesel Fuels tax, describing the increase that rolled into action earlier this week. 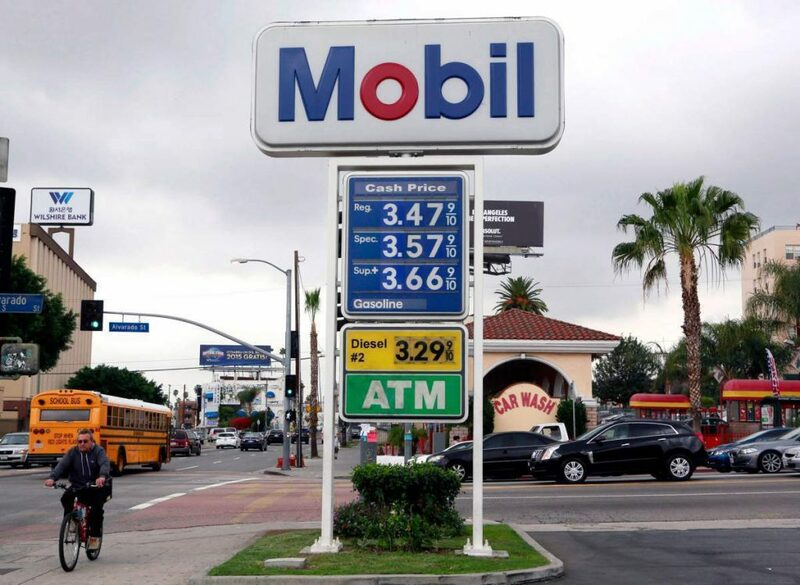 It cites the Californian Senate Bill, The Road Repair and Accountability Act of 2017 that increases the tax on gas more than ten cents to 41.7 cents per gallon, with diesel more than doubling to 36 cents per gallon. But that’s not all. The excise taxes will again be raised on July 1, 2019 to almost 50 cents total and again on July 1, 2020. In 2008, Gov. Jerry Brown and his cronies actually legalized free gasoline for themselves. Free gas and now they’re giving themselves more state-issued cars. They’re not state-issued so much as they are paid for by the taxpayer. From my visits to California, the roads are the single biggest problem in Los Angeles. Traffic, gridlock, insane rules. The government should be spending every spare moment there trying to fix transportation, but all they’re doing is making sure everyone has to spend more money. Stuck in traffic for three hours due to an accident? Have fun keeping the motor running just so you can inch forward. You’d better enjoy it, because it’ll be the priciest thing you’ll be doing all day. The Governor recently lashed out at his taxpaying public, calling them “freeloaders” for speaking up about the gas taxes. He said that the “freeloaders” already “have a president [Trump] that doesn’t tell the truth and they’re following suit.” Got that? Complain about gas taxes going up to almost 50 cents a gallon by 2019 and you’re just a freeloading liar, drunk on Trump’s tweets. The million citizens in Los Angeles alone who take food stamps are not “freeloaders” and neither are the illegal immigrants who use state services. It’s the working class! You evil monsters. California is usually at the forefront of craziness, but it all seems to be stemming from a few small enclaves. They are, after all the state of Ronald Reagan; and I heard time and again that pro-Trump Californians didn’t even bother to vote because they knew they’d be defeated by the left, so it’s harder to estimate their support for normal, right-wing beliefs. A few weeks ago we reported on an illegal alien who had already been deported from the country twice before causing the recent wildfire that has set the wine country in Sonoma Valley to burn to the ground.